Getting up early in the morning can be quite a challenge , especially if you are not used to it since dawn of time. Count me in for that matter . But just moments ago, I came across this Article on tricking your senses to get up early in the morning, and I actually find every recommendation quite logical and possibly effective. 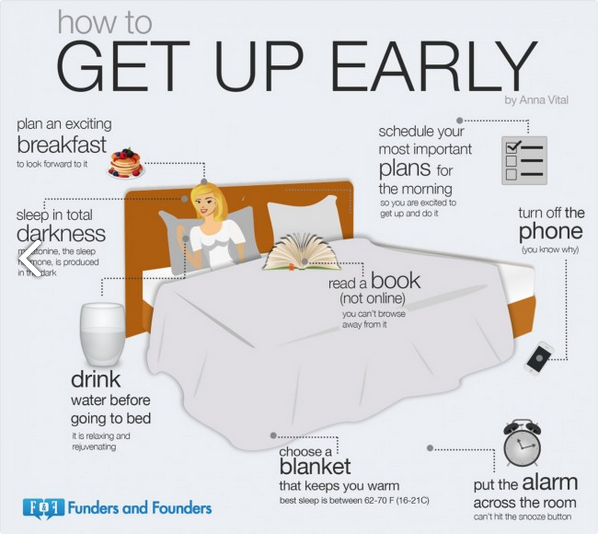 Getting up early is probably the best push to do better, and be more productive for the rest of the day.